Connor MacMillan’s goal in the 84th minute lifted the University of the Fraser Valley men’s soccer team to a 4-3 playoff win over the Alberta Golden Bears, and into the Canada West Final Four for the second time in program history. Playing at Foote Field in Edmonton on Saturday afternoon, the Cascades didn’t do it the easy way – after building leads of 2-0 and 3-1 in the second half, the Golden Bears roared back to knot the score 3-3. But MacMillan restored the UFV lead, blocking an Alberta clearing attempt and then poking the ball past Golden Bears keeper Connor James, and the Cascades hung on from there. They advance to the Canada West Final Four, which will be hosted by the UBC Thunderbirds next Friday and Saturday. A semifinal victory would not only send UFV to the conference gold medal game, it would also punch their ticket to the CIS national championship, hosted by York University in Toronto, Nov. 12-15. “I’ve aged about 10 years,” Cascades head coach Tom Lowndes joked afterward. The Cascades had the better of the play during a defensive-minded first half, registering three shots on target to Alberta’s zero. One of those found the back of the net – Mason Thompson slipped a slick pass through the Bears defence and into the path of fellow midfielder Kree Byrne, who beat James to the ball and chipped it over the Alberta keeper. MacMillan made it 2-0 in the 67th minute, finishing from point-blank range after Justin Sekhon barged through the Bears defence and fed the ball over to him. The Cascades’ lead seemed comfortable, but that goal was the first of six that the two teams would combine for during a wild 17-minute stretch. Alberta’s Daniel Barker-Rothschild cut the UFV lead in half in the 69th minute, but less than a minute later, Cascades striker Elijah Sampson was sprung on a breakaway and hammered a rising shot under the crossbar to restore the two-goal cushion. The Golden Bears kept coming, though, and got a fortunate bounce in the 71st minute when UFV defender Sukh Dhaliwal’s attempted clearance sliced into the top corner for an own goal. Alberta’s Tolu Esan leveled the score in the 81st minute, placing a shot just under the crossbar. But MacMillan rescued UFV with his late-game heroics, and the Cascades weren’t about to let the lead slip away this time. The University of the Fraser Valley women’s soccer team saw its season come to an end in heartbreaking fashion on Saturday, as the Victoria Vikes edged them in penalty kicks in the opening round of the Canada West playoffs. Playing under consistently windy and occasionally rainy conditions at Abbotsford Senior Secondary, the two teams battled for 120 tense minutes of regulation and overtime without a goal, necessitating a penalty shootout with a trip to the Canada West Select Six on the line. Victoria went a perfect five-for-five on their attempts from the penalty spot, and Vikes goalkeeper Meaghan Storie made a pivotal save on UFV’s second shooter, Shelby Beck. The game will go down as a 1-0 UVic win (5-3 on PKs). “Soccer can be cruel,” Cascades head coach Rob Giesbrecht said afterward. “Somewhere along the line, people thought PKs would be a good way to decide a soccer game, and sometimes that goes your way and sometimes it doesn’t. Today we came up short. It’s a cruel way to end our year, but I’m very proud of how my team played today, and how they played this year. The Cascades carried most of the play in a scoreless first half, putting three shots on net and earning five corner kicks, but Storie kept UFV off the scoresheet. In the 33rd minute, Cascades midfielder Brittney Zacharuk lifted a shot on net from distance, but Storie rose up and tipped the ball off the crossbar. UFV keeper Kayla Klim replied with a nice save of her own, turning away an effort on net by the Vikes’ Mia Gunter to ensure her team entered halftime level. In the 59th minute, Cascades sophomore striker Monika Levarsky had a great chance to open the scoring after Beck played her in behind the Vikes’ defence. Levarsky cut into the box and had a try on goal but Storie read the play quickly, broke off her line to cut down the shooting angle, and parried the ball away. UFV midfielder Amanda Carruthers, who had followed the play in, had a secondary shot at goal but it bounced wide of the left post. A rare call in the 72nd minute gave the Vikes an opportunity to take the lead, as the Cascades were whistled for playing the ball while on the ground at the edge of their own six-yard box. The Vikes’ Sarah Douglas tapped the ball to Stephanie Badilla Gutierrez, and she drove the ball on net against an assemblage of Cascades, who had formed a nine-woman wall across the goal line and managed to block the ball’s path. The best chance during the two 15-minute OT halves was generated by the Vikes, as Emma Greig got on the end of a cross into the box and fired a volley labeled for the bottom corner. But Klim ranged to her left to make a spectacular save and push the ball wide. In the PK shootout, Storie gave the Vikes the advantage with her stop on Beck. Klim nearly answered with a save of her own – Kiara Kilbey, Victoria’s fourth shooter, fired a low shot, and the UFV keeper dove left to get a hand on it. But she didn’t get quite enough of it, and the ball snuck inside the post. Badilla Gutierrez, the Vikes’ fifth shooter, sealed the victory when her rising shot found the twine to the right of Klim. In the locker room afterward, Giesbrecht told his team he was proud of them. And indeed, there’s much for this group of Cascades to be proud of. Coming off a Canada West silver medal and a fourth-place finish at CIS nationals in 2014, they spent a team-record seven weeks in the national rankings this season and earned the right to host the program’s first-ever Canada West home playoff game. Coming off a three-set defeat to the Vancouver Island University Mariners on Friday, the University of the Fraser Valley women’s volleyball team made some headway in Saturday’s rematch. After dropping the opening set 25-19, the host Cascades bounced back to open a six-point lead early in the second, en route to a 25-21 triumph. But that was as good as it would get for UFV – the defending PacWest champion Mariners finished strong, winning the next two sets 25-13 and 25-15 to complete the weekend sweep at the Envision Athletic Centre. The Cascades fell to 2-4 on the season, while the Mariners evened their record at 2-2. “In the second set, I thought both teams played well, and we were able to stay in it,” UFV head coach Mike Gilray said. “It was our best serving game, for sure. We passed well in that game, and we had subs who were able to go in and make differences when they played. We were connecting where we wanted to in the game plan. Middle Monique Huber paced the Cascades’ offence with seven kills, while Mandelyn Erikson and Chelsea Kidd had five apiece. Libero Amy Davidson racked up 14 digs. “Our serving in the second game made our defence a bit easier, but I thought our transition game was our best,” Gilray said. “We were in long rallies, and we were able to win them. In the third and fourth, we weren’t even getting those long rallies. We were making errors before rallies would last. The Cascades volleyball teams now head into a bye week. They return to action with a road trip to Victoria Nov. 13-14 for games against the Camosun Chargers. 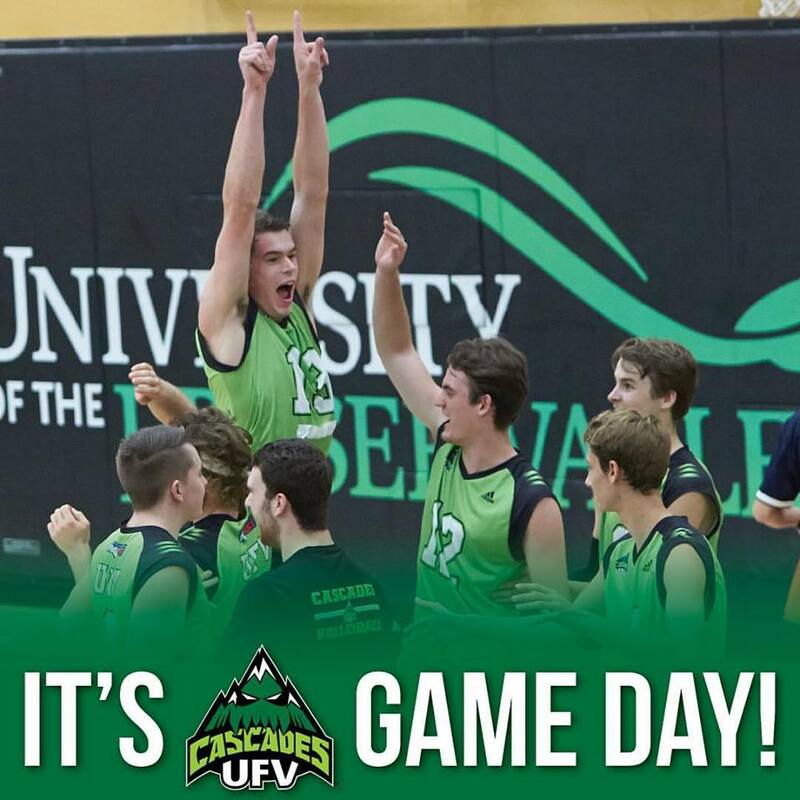 The University of the Fraser Valley men’s volleyball team wrapped up a homecourt sweep of the Vancouver Island University Mariners on Saturday afternoon, and they did it in efficient fashion. Coming off a harrowing five-set win over VIU on Friday at the Envision Athletic Centre, the Cascades only required the minimum three sets in Saturday’s rematch. They prevailed by scores of 25-21, 25-21 and 25-20. 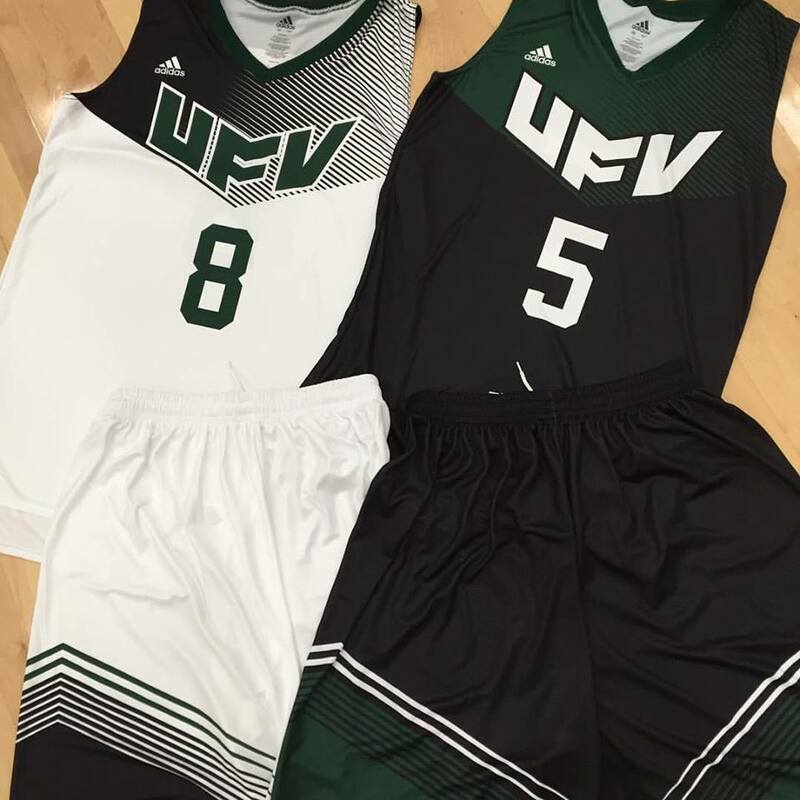 UFV boosted its record to 4-2, while the Mariners dropped to 0-4. “We had our struggles up and down yesterday – we should have put them away when we had the chance, and we made a point of talking about that heading into today’s match,” Cascades head coach Kyle Donen said. “We did that for the most part today. Left side Adam Chaplin and right side Joel Kleingeltink led the Cascades offensively, but Donen was most enthused with the offensive balance his team showed and praised setter Adam Fredrickson for doing a good job of distributing the ball. 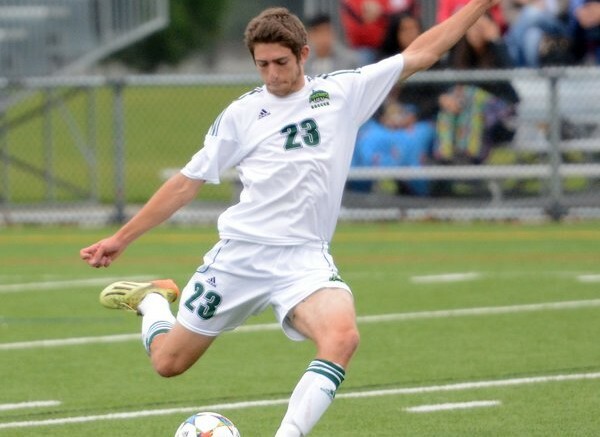 Be the first to comment on "UFV Sports Saturday – Men’s Soccer Heads To Canada’s Final Four"